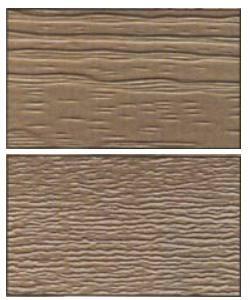 Vinyl – Aluminum – Cement Fiber – Wood and more. 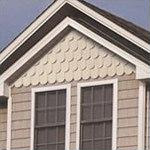 Scallops, Shakes and many others. 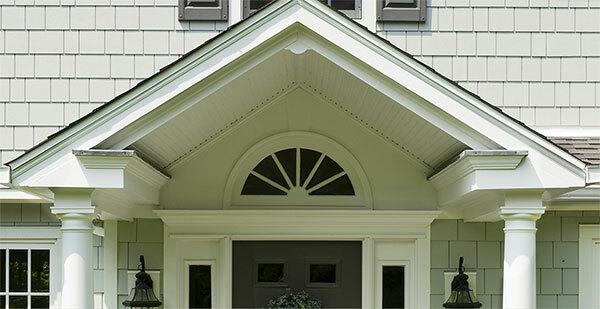 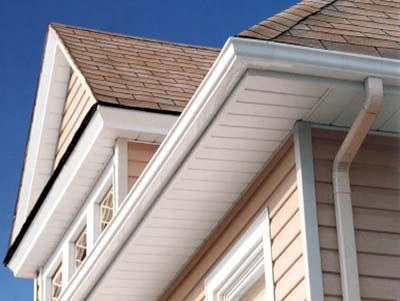 Soffit: Solid and Vented Many colors to choose from Click links below for more details. 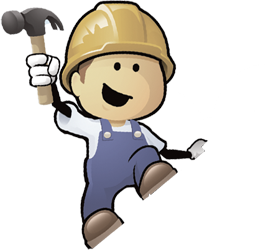 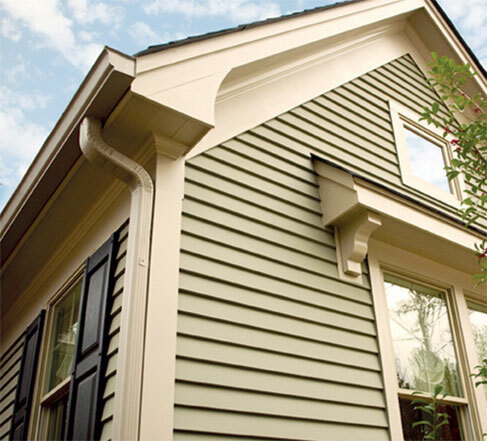 James Hardie siding is backed by the most comprehensive warranty in the industry, a 30 year non-prorated limited transferable product warranty. 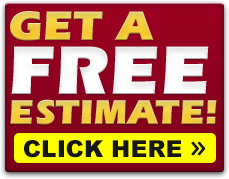 This means you get 100% coverage the entire 30 years! 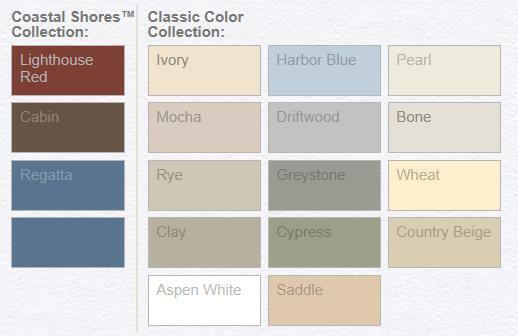 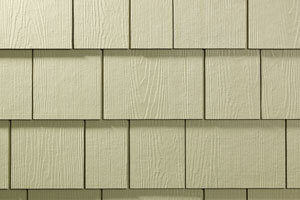 James Hardie fiber cement siding is weather resistant and durable choice. 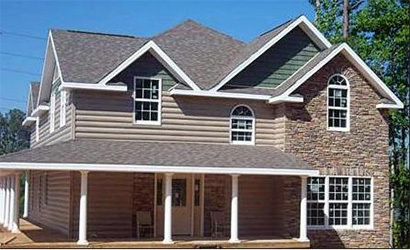 The ColorPlus Technology ensures low maintenance and long lasting color. 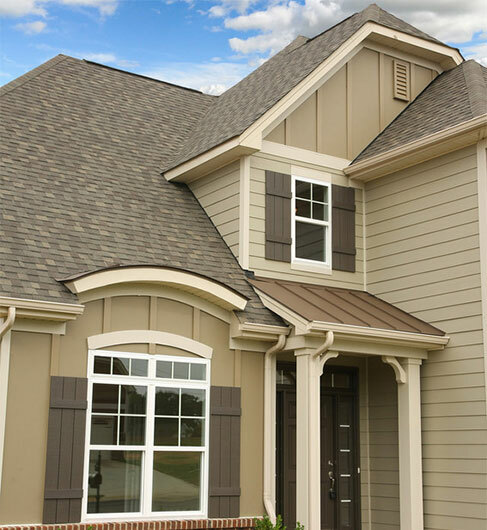 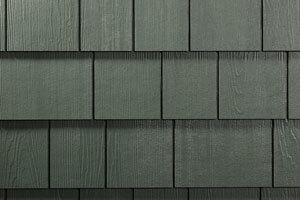 The Hardie Shingle siding has the authentic look as cedar siding shingles, yet it resists rotting, cracking, and splitting. 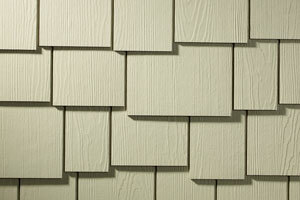 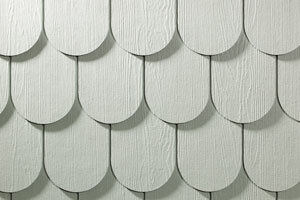 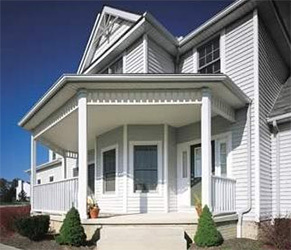 Hardie Panel vertical siding is equal to the plank siding in value and long lasting performance. 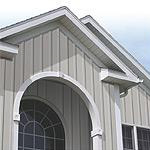 When combined with Hardie Trim boards, it can also help you achieve a board-and batten look. 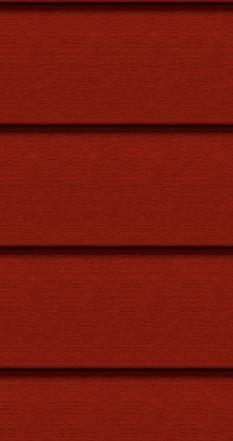 Strength, beauty and durability, Hardie Plank lap siding offers low maintenance without sacrificing the character and charm of natural wood.